Barbados is readily accessible from the US, Canada, Europe, and South America. For UK guests, there are direct flights to Barbados from Gatwick that take 7 hours. No Visa is currently required for British or Irish passport holders for visits up to 6 months, however you are usually permitted entry for a maximum of 28 days. Passports must be valid for a minimum of 6 months from the return date to the UK. All travellers should check full entry requirements prior to travel by visiting the Foreign & Commonwealth Office (FCO) website or by contacting the relevant embassy. English is the official language and English speakers won’t have any problems. Many locals often converse in Bajan, an English-based creole language blending in West African expressions. 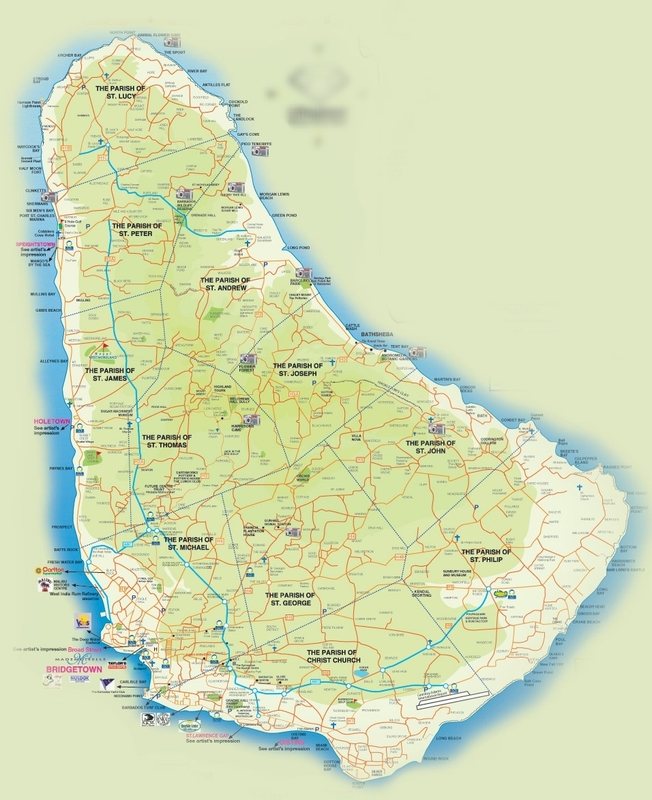 The transport in Barbados mainly revolves around the well-developed road network, which has an array of public and private transport options to help you get around. Let us know if you need help with transfers or getting a car dropped at the house, as well as fast progress through customs using a meet and greet service. A large fleet of government-regulated taxis are available, offering an excellence compromise between expense and freedom. Taxis here are not metred and tend to charge in the region of £12 per hour. Generally, drivers will accept fees in US Dollars, as well as Barbadian Dollars, and are open to negotiation – it’s best to negotiate a price before getting in the taxi. Taxis here are easily recognisable due to the distinctive ‘Z’ on their registration plates. It isn't advisable to take a taxi everywhere. If you can take the bus, do so. If you need a particular type of taxi, for example a BMW, Lexus, Mercedes or Rolls, that can be arranged. Click here for taxi fares. Incredibly cheap (about 50 pence per person). Private (yellow) and government-owned (blue) buses run across the island. The blue buses go farther and are generally of more use for tourists, though short journeys on yellow buses can be an easy way to get around. 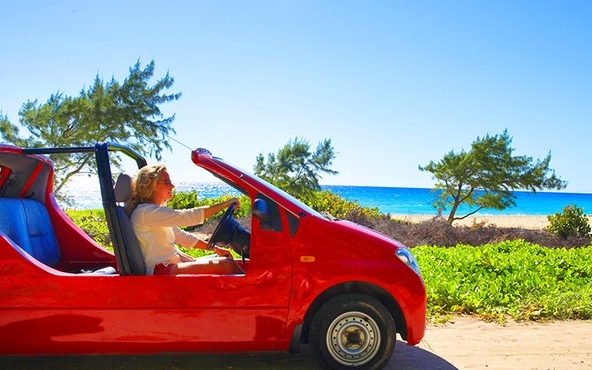 The car rental in Barbados starts at around £60 per week, depending on common factors, time and length of trip and this is for an air-conditioned car, which includes delivery to you at One Battaleys Mews with some providers.. It’s a fantastic way to see the sights of this island and discover some beautiful beaches. Drivers must be between 21 and 80 years, and you will need to purchase a permit for $5 per person. Baby and child seats cost around $5 per day and will need to be requested when you’re booking your car. Don’t forget to take your driver’s license and a credit card. It’s still possible to charter catamarans and yachts for tours with a full crew to travel around. Also, if you’re interested in travelling around the Caribbean from island to island, your best option would be by plane, while there are a small number of ferry services available. Another option is renting a bicycle or a moped. You’ll pay a deposit (usually around £30 to £60) but daily costs are relatively cheap, and it's a fun way to get around. Barbados is a former British colony and as such driving is on the left as it is in the UK. Speed limits are posted in km/h, with a national speed limit of 80 km/h (about 55 mph) on highways and 60 km/h (about 37 mph) on minor roads. Specific lower limits are posted through urban areas. The Barbados dollar is pegged to the USA dollar at an exchange rate of US$1 = BDS$1.98. US dollars are accepted island-wide and most stores and restaurants accept major credit cards and traveller's cheques. The Barbados Water Authority, a Government statutory corporation, is the sole provider of water services. The water service in Barbados is reliable and the water supply is safe and refreshing to drink. With Barbados' Fully Accessible Barbados (FAB) program, the island nation is working hard towards creating a fully inclusive experience for disabled visitors and Barbadians alike. With the desire to make visiting and living Barbados as inclusive as possible, the Barbados Tourism Authority has been working on this initiative for two years, alongside the Barbados Council for the Disabled, the Ministry of Tourism and the FAB Committee. For more information, please visit Fully Accessible Barbados. 115/230 volts 50 cycles. Standard plug types in Barbados are two flat blades or flat blades with round grounding pin - converters should be brought with you for European or Asian appliances. North American appliances will not need converters. There are no specific vaccinations that need to be taken before visiting Barbados, but as health requirements constantly change, check with your GP or specialist travel clinic well in advance of your holiday for specific information regarding your travel and medical history. Additional information can be found by visiting NaTHNaC or MASTA Travel health. Barbados has a very hot year-round climate with bright sun most days. As such it is important to use plenty of high factor sun cream, drink plenty of water and even carry an umbrella to shield you from the sun. Barbados has a high standard of health care which is easily accessible to all. The main Government hospital - the Queen Elizabeth Hospital - has 600 beds and offers specialised care in areas such as paediatrics, obstetrics, plastic surgery, radiology, etc. For further information visit the website of the Barbados Tourist Board.